The Lenovo Tech World that occurred today in SFO saw the announcement of three new phones from Motorola and from Lenovo brands, the Phab2, the Phab2 Plus and the Phab2 Pro. What’s particularly exciting is that the Phab2 Pro happens to be the first of its kind incorporating Tango. Tango is a camera system from Google, capable of detecting a physical object in three dimensions. It is quite common these days to see Chinese mobile manufacturers rolling out Android phones at reasonable prices and these two devices are no exception. They have large screens and a massive battery. However, Phab2 and Phab2 Plus don’t have this feature. These two devices are compelling phones offering the competition a run for its money. 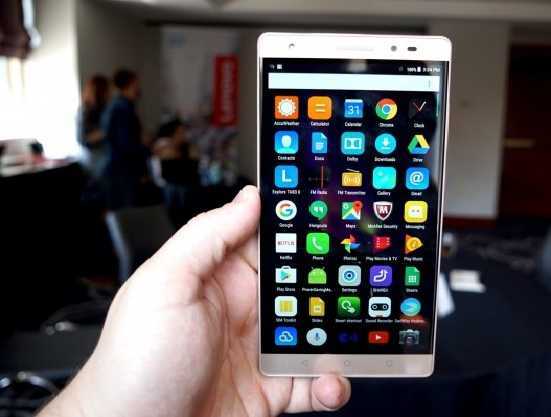 Both are offered at very reasonable prices and will be released by Lenovo in the United States to get hold of a more sizeable market in the country’s mobile marketing arena. The Phab2 as well as the Phab2 Plus have a screen size of 6.4 inches. In case of the Phab2, the screen is an IPS with 720 pixels resolution. It has a quad core, MediaTek, 8735 CPU and comes with a RAM of 3 GB. The internal storage is 32 GB and it can be expanded using a microSD card. The rear camera has a resolution of 13 MP. The front camera is 8 MP and the weight of the phone is 218g. As for the Phab2 Plus, it offers a middle tier of the range. It comes with the same screen size of 6.4 inches, but with a higher resolution of 1080 pixels IPS. The CPU is also bumped up with quad core, MediaTed 8783, though the RAM remains the same at 3 GB. The internal storage is also the same at 32 GB, which is expandable using microSD card. In addition, the camera in the Phab2 Plus is better than that of the Phab2. The former model has dual camera feature and is capable of changing a background or refocusing after an image is taken. It also has laser autofocus sensors and comes with fingerprint scanner mounted on the rear of the device. The Phab 2 Plus brings in new features especially when considering that it is a mid range device. It has a 13 MP camera with f/2.0. The Phab2 Plus also offers FutjitsuMilbeaut for image processing, which is the same as the one that Leica cameras use. However, the resolution of the Phab2 Plus is 1080 pixels. This means that the battery life of the Phab2 will be more than that of the Phab2 Plus, though both the devices have the same SoC and the same processor. The two devices will be priced at around $199 for the Phab2 and $299 for the Phab2 Plus. Both the phones will be released during this summer. The devices can be accessed and availed anywhere in the world after September, though the US is likely to be the first to get its hands on them. Both the phones are extremely affordable and pack in a battery with a good capacity for such a price.